Ham Radio, or Amateur Radio is a communications and electronics hobby. Whether you're a buyer or a maker - we have a bit of everything for not only the Shack, but a range of outdoor/portable kit, too. A number of products are made in-house, and we take pride in using not only the best quality materials but also the right materials. See About Us for more. We ship to the UK+Europe. New Balun Alert! 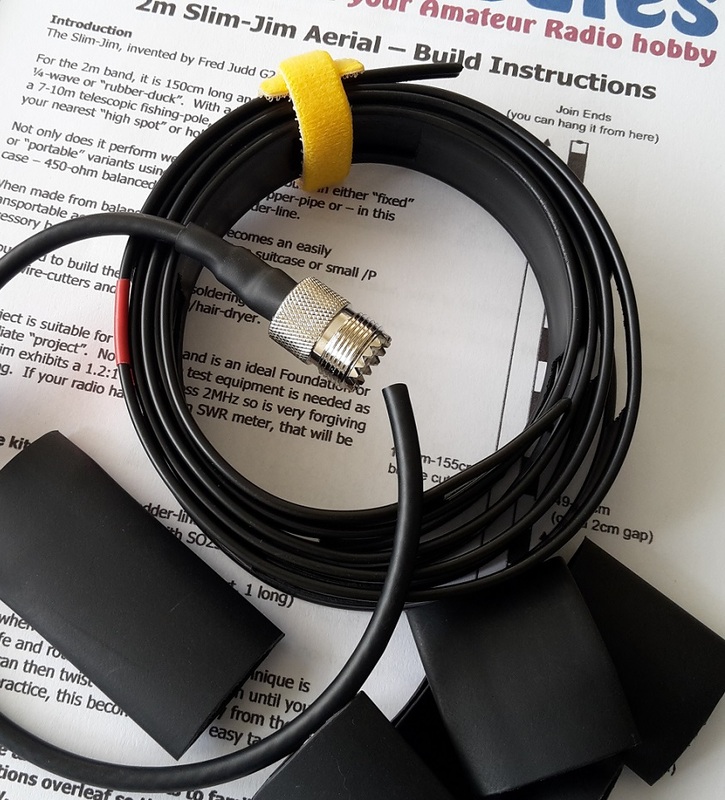 Our new 4:1 Current Balun is now available - a result of being asked for a smaller/lighter model (see here for our QRO version). It uses the same enclosure as our 1:1 100w Dipole Balun and can be used "in the air" on an Off-Centre-Fed Dipole or as part of a Doublet (replacing the balun inside your tuner). With better weather on the way, why not get that /P kit ready by making use of our Dipole Centre kit? It forms an integral part of an HF Dipole or Doublet and can even be used at home in a permanent installation. The Multi-UnUn offering 4:1, 9:1 and 16:1 ratios is ideal for use with long-wire aerials - 3 ratio taps allow you to match your wire to your radio (or ATU) when band-hopping. If you're stuck for an "all-rounder" HF aerial for the garden that doesn't scare the neighbours, the 5-band CobWeb is a great project and we sell the completed Balun for it here. Just add metal hardware, spreaders and 5 dipole wires (20m-10m). Still popular, the 2m Slim-Jim kit is a great way to get onto this popular band with it in the loft, outside on a pole or hanging from a holiday balcony - an easy-to-build kit and a great prize for a club-night raffle (or training gift).